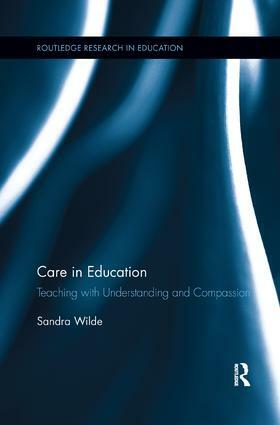 This philosophical commentary explores the meaning and significance of care in education, demonstrating how teaching with care enriches the art and soul of pedagogy. Wilde draws upon Western and Eastern philosophies that envision an integrated image of care to illuminate the value of cultivating understanding in the form of awareness, and compassion leading to right action. Comments and stories from teachers’ experiences demonstrate important aspects of care that are easily overlooked, such as present attention, listening and teacher, well-being. Although it uncovers a tragic conflict between caring and aspects of contemporary schooling, this book offers hope for teachers. It shares a vision of practice that has the potential to re-enliven and strengthen care even in the midst of these difficulties. It also offers a contemplative approach to pedagogy that calls educators into intentional action, showing them how to renew their deep ethical connections to students, to subject matter and to the world.